The stripes all started with the boys' room. They have an extra closet, which I decided to turn into a reading nook, I didn't want to leave the walls white, and I thought painting it gray would make the room super dark.. stripes were the perfect solution!! I ended up striping three walls in less than a month, and I feel like an expert! 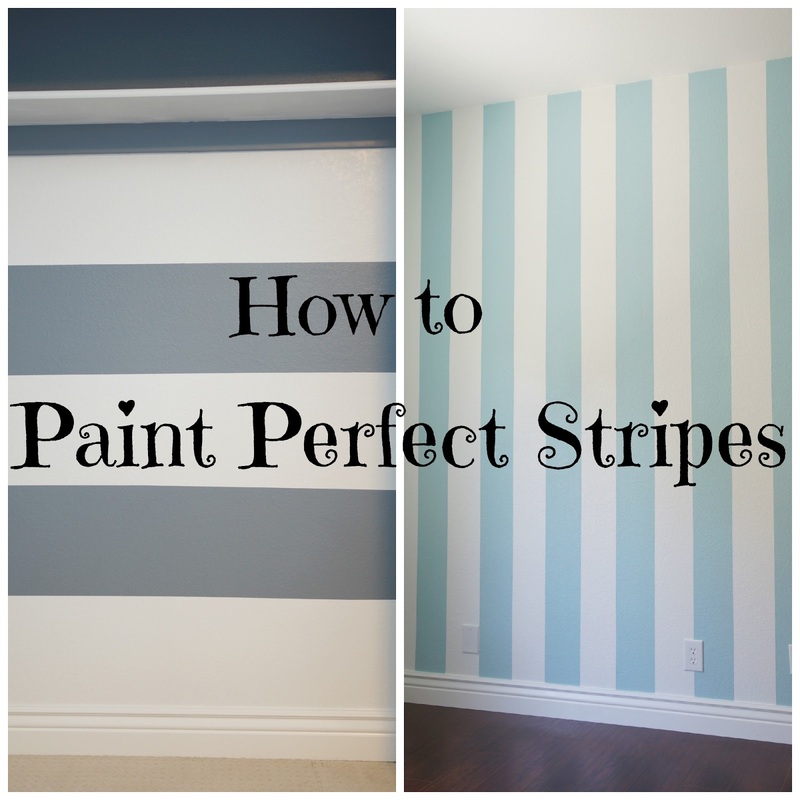 Follow these easy steps and you'll be striping your whole house (like me) in no time! *Make sure to read the whole post and view all the pictures before you start your own project. *These pictures are from another closet I striped. You can do horizontal or vertical (I wanted to try both!) the steps are the same. 1. 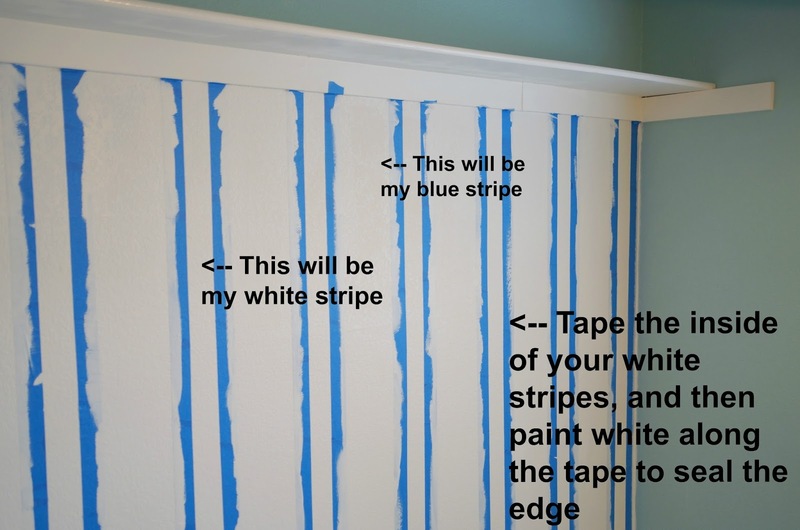 Paint the wall you want to stripe a solid color. This wastes paint, but it was the fastest and easiest way for me to start, and since it was a small closet area, I didn't feel too wasteful. 4. Paint along the tape where you will be putting the new color. For me, my stripes are blue and white. I started with a white background, I taped inside my white stripes, then I painted the tape with white. What this does is seal the tape down so that you get nice crisp clean lines. Let the paint dry, (according to whatever paint can recommends), and do another coat. 6. Once the paint is dry, peel the tape off and make any small touch ups. Things got real when I decided to stripe an extra tall wall in the same room as my striped closet (this is my future sewing/guest room). I had originally painted the wall solid blue, but I didn't like how dark it made the room feel... So more stripes more me!! All it needs is crown molding! I really love my stripes and I can't wait to finish decorating the reading nook and this guest room!